Can Chael Sonnen comeback and win the MW title? He would still be the best wrestler at MW and will have the best chin as well. Also his work ethic is impressive. If he gets Bisping right away, yes. Jawbox01, GSPenn1991 and FedorFanBoy like this. steny, lyndon955, Which Doctor and 1 other person like this. I am doubtful he can beat Bisping after 2 years on the shelf. I kind of think pretty much most of the top 10 would be a challenge to him. He has as much of a chance as Trump winning the presidency. In other words, anything is possible. EJF1984 and Which Doctor like this. Nothing I've seen in their first fight suggests Chael could beat Bisping in this day and age. FenoxSky, VitorReem and Rhino Plastic like this. What do you mean "can he win the title"? He's the reigning undisputed and undefeated MW champion. The question is how many more title defenses can he add. OmegaRugal, mabedi, juanM3 and 1 other person like this. Except the fact that he took him down, mounted, and beat Bisping? Worst case scenario he takes Bisping down/ Wall n Stalls the first three rounds, coasts the last two and comes away with Le Belt. joshmaikar and EJF1984 like this. Weidman would be a bad match up for old Chael.. In an era where freaking Michael Bisping becomes champion, why not? At this point in time, yes. Finally Chael will come back to USADA's level playing field, and he won't be forced to cheat-to-compete w/ a bunch of juiced-up freaks. It was a gift decision, meant to precipitate and justify his rematch with Silva - the fight fans had been anticipating. If he gets a quick title shot at Bisping maybe, if he has to earn a title shot then win, hell no. your correct.... he is a lock! With USADA testing, Sonnen is a B fighter at best. He literally only started beating good fighters when he was clearly on a plethora of PEDs. Not in the USADA era, doubt the dude can crack the top 10 without his "supplements". 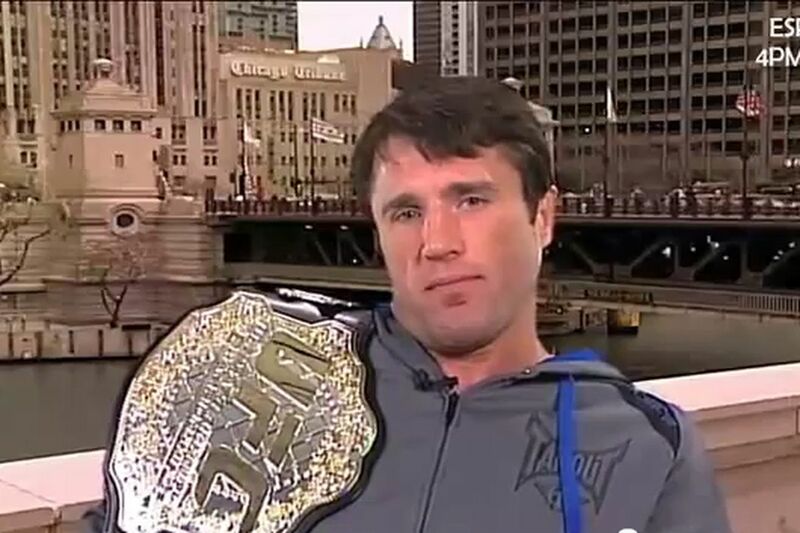 Chael is not a better wrestler than Weidman. Chael would have a realistic shot of beating Bisping because of good style matchup, but pretty much anyone else would kill him.